Monsters, Inc. | Style Weekly - Richmond, VA local news, arts, and events. 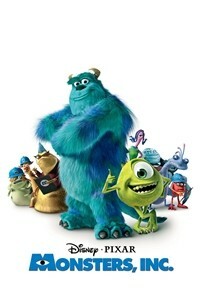 Monsters, Inc. is the largest scare factory in the monster world and the top kid Scarer is James P. Sullivan, a huge intimidating monster with blue fur, large purple spots and horns, known as "Sulley" to his friends. His Scare Assistant, best friend and roommate is Mike Wazowski, a lime green, opinionated, feisty, one-eyed monster. Scaring children isn't such an easy job--monsters believe children are toxic and that direct contact with them would be catastrophic. Inside the factory can also be found: the factory's crab-like CEO, the beguiling serpent-haired receptionist Celia, and the sarcastic chameleon monster, Randall Boggs, who schemes to replace Sully as Monsters, Inc.'s top Scarer. Visiting from the human world is Boo, a tiny girl who turns the monster world upside-down. Sorry there are no upcoming showtimes for Monsters, Inc.